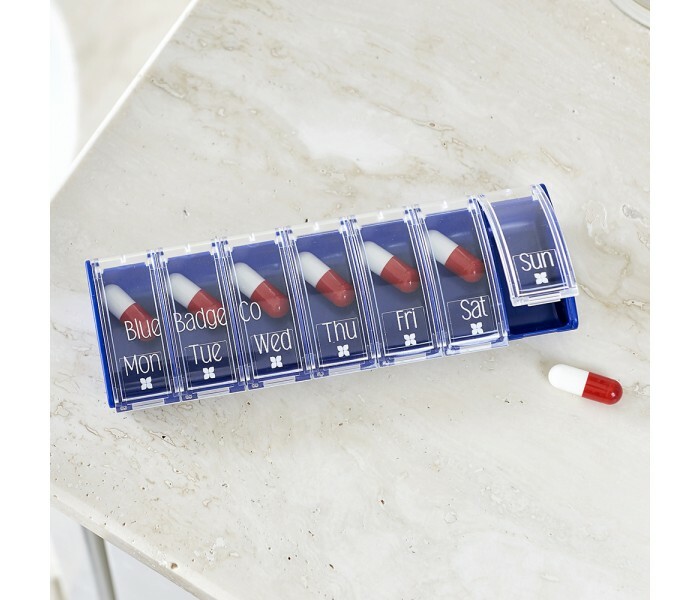 Discreet pill organiser is divided into seven different compartments; one for each day of the week. The stylish carry case it comes with allows the pill box to be kept on you without others knowing what's inside. If you're travelling around for a few days, carrying all your different pill bottles around with you can take up more space than you have. 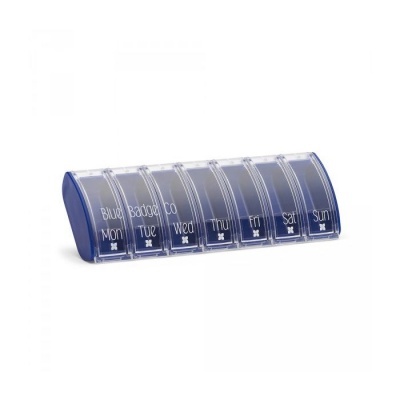 The Blue Badge Company Weekly Pill Box is a more compact method of keeping around a week's worth of tablets on you. 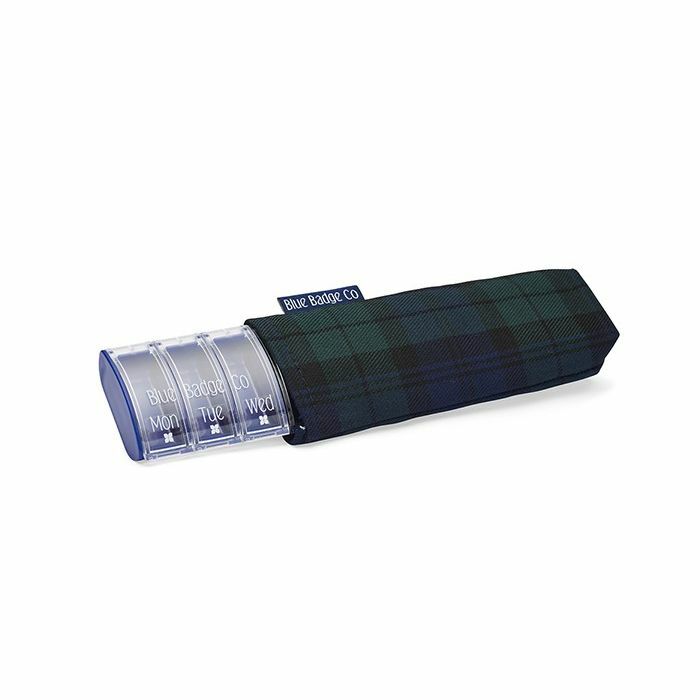 Supplied with a Blackwatch Tartan Carry Case, this product offers a discreet solution for carrying your pills on your person or in your bag. This Blue Badge Pill Box is supplied with a Blackwatch Tartan Case, which makes carrying around your pill box easy while also maintaining your privacy. Its classic design allows it to be kept with you in a wide range of settings (including formal events) without drawing too much attention. The Blue Badge Company Weekly Box has been designed with a compartment for each day of the week. Each separate section is labelled with a day of the week so you're able to manage your daily medication intake with little effort. Its clear compartment lids also allow you to easily check if you've taken your medication for the day. When it comes to emptying and refilling your box, the Weekly Pill Box makes things easier than ever. This is because the box is ergonomic in shape, making it simple even for those with limited dexterity to remove and replace pills when necessary.